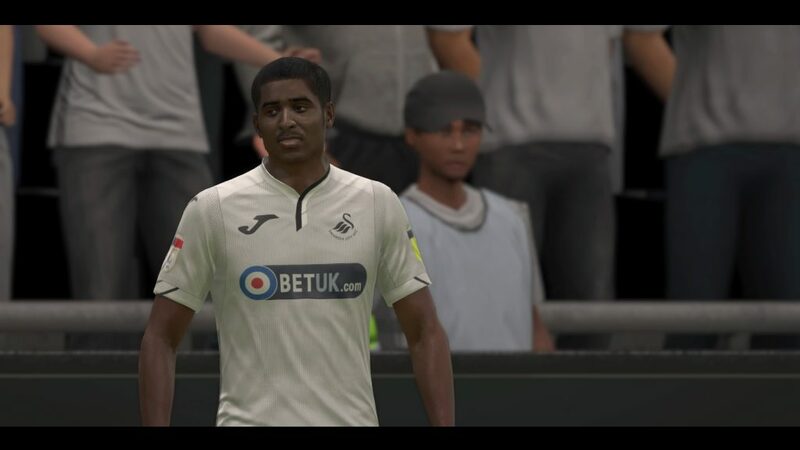 With Christmas just around the corner and video games being a popular choice on many a gift list, we thought we’d take a closer look at FIFA 19 – from a Swansea City perspective. Fans of video games will need no introduction to the FIFA video game series, which kicked-off with a PC version, way back in 2001 and is still going strong some 17 years later. Every year EA Sports FIFA game has a battle for video game supremacy with its arch rival, Pro Evolution Soccer from Konami. You can read our review of PES 2019 elsewhere on this site, if you want to make a comparison before splashing the cash. What of the 2019 edition of FIFA then. Well, the World Cup update for FIFA 18 went down a treat with fans and gamers alike. Our initial impression is that the game has built upon their relationship with football’s governing body (FIFA) and the European administrative body of football, UEFA, even further, with EA Sports acquisition of the Champions League licence. Those of you familiar with the FIFA v PES battle will know how much of a big deal the official licence is. With EA Sports already boasting the Europa League and Super Cup, plucking the UEFA Champions League licence from Konami this year, was, quite literally a real game changer. The real attraction of EA Sports FIFA for many players has been how easy the game is to pick up, play and score, aided by some slick presentation of the teams and players we all know and support. Initial impressions suggest that there isn’t a great deal of difference between FIFA 19 and FIFA 18 (although released back in September 2017). But after a while, you begin to pick-up and see the subtle improvements in gameplay and the graphics in the game – which make it very easy on the eye. When you’ve spent many an hour playing PES as I have over the years, switching back to FIFA can sometimes be quite a shock to the virtual football playing system. In fairness, FIFA 19 does feel smoother and more fluid to play than previous versions. I’d even go as far to say that the gap between the two in terms of realistic gameplay is definitely narrowing, something which I didn’t think I’d say. Personally, PES is still ahead in the reality football stakes, but you can still get a damn good game of football on FIFA. 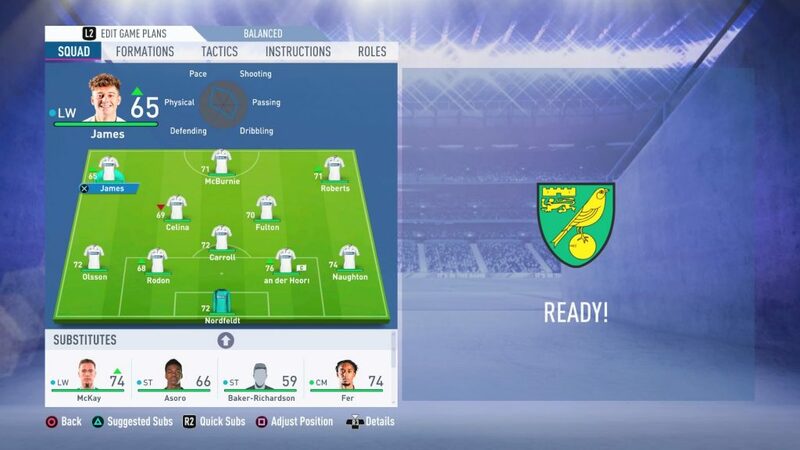 Where FIFA does take the football video game crown, is on off the field matters, such as the sheer amount of game modes and customisation options available to gamers. I particularly love being able to track my head-to-head record against my mates! The Alex Hunter Journey part of the game, where you live the life of an actual football player, will appeal to younger players especially, whereas older gamers may well get tired of the heavily scripted story. That said, the newly added ability to switch between Alex, his half-sister Kim and lifelong friend Danny, add some variety to this aspect of the game. 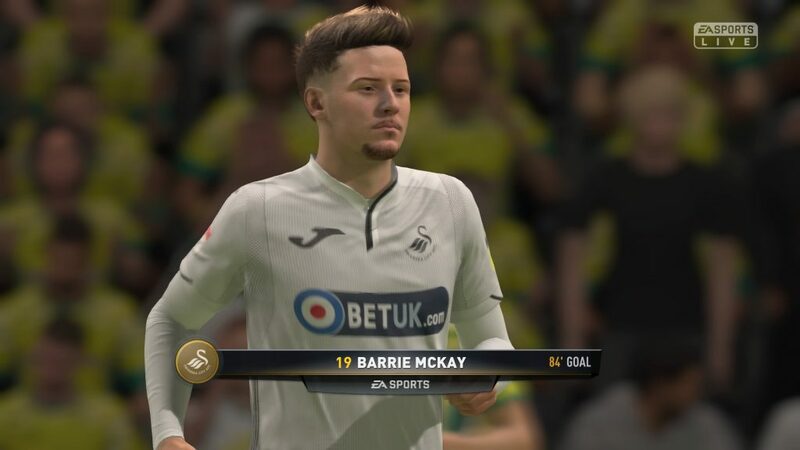 For youngsters wanting to play for their beloved (virtual) Swansea City, the Journey presents an excellent opportunity to have some fun and enjoyment pursuing the dream. The addition of even more licences and 16 more La Liga stadiums to the game, complete with accurate audio for the fans chants, make for a very realistic atmosphere to play the beautiful game – albeit virtually. As with any sports video game, the less said about the commentary the better, as best it can be repetitive and irritating, at worst well I wonder if they’re watching the same game as I’m playing. Even the introduction of Lee Dixon and Derek Rae in the commentary box, alongside old favourites Alan Smith and Martin Tyler, do little to improve things. In fact, I’d rather listen to the random mutterings of whomever I’m playing online instead, even if sometimes it is laden with fouled mouth expletives or shouts of “GET IN THERE!”. 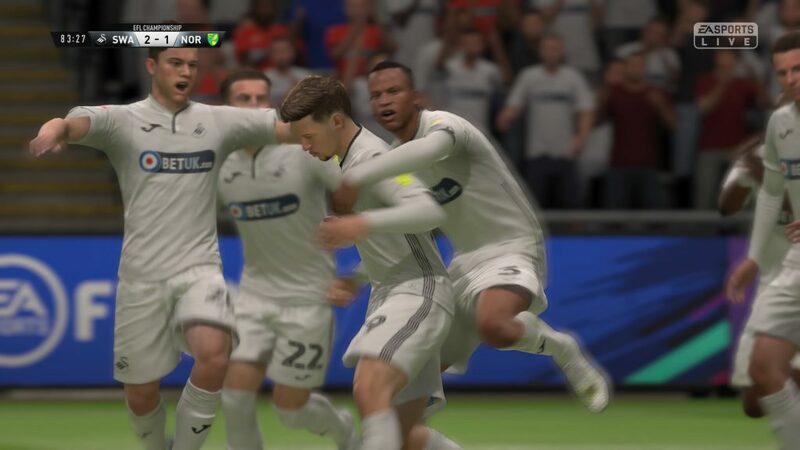 Taking control of the Swans for their upcoming game against Championship leaders Norwich City at the Liberty, was a good place to start testing out the actual gameplay of FIFA 19. I decided to stick with the most current team line-up for the Swans to see exactly how the team and individual players characteristics stacked up when compared to their real-life counterparts. Would Daniel James be like a greyhound, does Oli McBurnie get out-muscled and do certain players give the ball away far too easily – no names mentioned! In years gone by players with pace in FIFA would breeze past a defender with ease and without challenge, but it was evident that thankfully this was no longer the case. Whilst DJ is a flyer in the game, the AI controlled Norwich fullback (in this instance), would block his run or at least jostle with him – if he was near enough to man and ball of course. This is a most welcome improvement to authenticity in the game and how many 50/50 battles in-game are decided, i.e. based on player attributes and actual timing of the challenge. This was prevalent throughout our test game to McBurnie, who would often lose out to more physical opponents – especially shoulder to shoulder, much like in real life. It is this sort of realism that will stand the game in good stead for future versions. Another aspect which caught my eye was that of passing, even accounting for my wayward control of some of the Swans players! The days of every pass being pinged with 100% accuracy across field appear to be gone, and once again there is more emphasis on the players ability and indeed how the gamer controls the player through the number of times the relevant button is pressed. Just as in the real game, timing is everything and if you get it right, you’ll pull off a good pass or shot, get it wrong and you’ll end up hitting the advertising hoarding just like Renato Sanches. Thankfully, I wasn’t too wide of the mark with either my passing or shooting, as I managed to scrape a 2-1 win over the Canaries thanks for the Swans Scottish duo of McBurnie and McKay. A similar result on 24 November would be most welcome! In terms of the Swansea City squad as a whole, their attributes were overall very accurate and were reflected during gameplay. The FIFA Index website has a good overview of the FIFA ratings for each Swans player if you are interested in taking a closer look at each player’s attributes in the game. Which moves me nicely onto the animations and player graphics in the game. Whilst both are extremely slick and professional in appearance, their accuracy on occasion did leave a lot to be desired. Now whether or not this is because the Swans aren’t a top European club or indeed in the Premier League at the moment, I don’t know, but some of the player images in particular could do with some improvement. Perish the thought of the visuals for each player if we were a league two club. In all honesty though, the player visuals really don’t matter that much to me, it is the gameplay I was interested in and in fairness, this is definitely an improvement an previous incarnations of FIFA. The professional presentation and abundance of detail, gives FIFA 19 a fantastic look. But whilst it isn’t a huge step forward in terms of realistic football gameplay, and in some small ways still lags behind PES 19 in terms of realistic football simulation, the small improvements that have been made have certainly benefited gameplay and augurs well for future releases. Perhaps the biggest positive we took from the game however, is the sheer amount of different football stuff you can do, the various match kick-off types, the additional FIFA Ultimate Team (FUT) modes and Alex Hunter’s Journey, all of which will appeal to football fans of all tastes and no doubt will make you want to keep coming back for just one more game, again and again. If you already own FIFA 18, then you may be disappointed that FIFA 19 isn’t really a huge step forward on its predecessor, but if you’re a fan of the UEFA Champions League, then it is probably worth the investment or at least adding it to your Christmas wish-list. Our FIFA 19 review was done playing the PlayStation 4 version of the game, which was kindly provided by the publisher.